For your Arts and Crafts styled master bedroom suite, the Mission Canyon Bureau in Quartersawn White Oak is just the right fit. Create yours below. 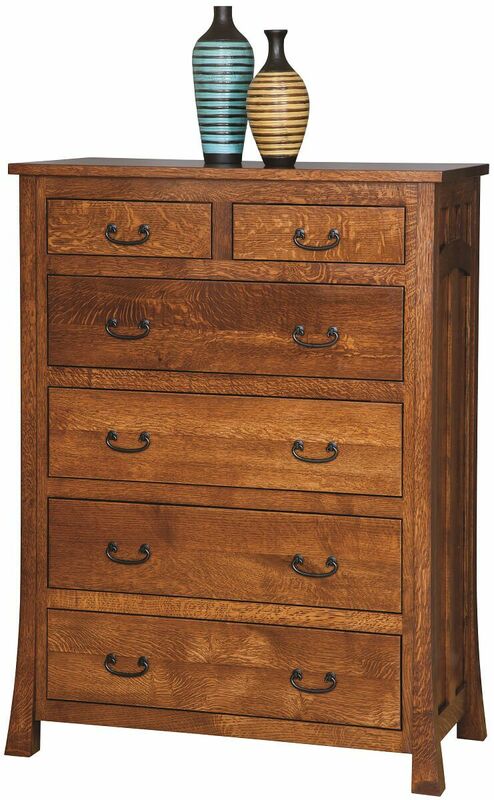 Combining plenty of functional storage with the charm of solid hardwood, this 6-drawer chest is handmade in the USA. The Mission Canyon Bureau is constructed with six, flush-mounted drawers for accessory and clothing storage. Dovetailed joinery affix the bureau's drawers to ensure their durability against daily use while full-extension slides provide access to the entire drawer. For your bungalow bedroom or Mission style suite, the Mission Canyon Bureau is handmade to please. Order yours in Rustic Quartersawn White Oak with our Burnished Honey finish to obtain the featured look.